It’s that sunny time of year! Picnics, days at the beach, and my super pale face. Part of taking good care of my skin means that I use SPF moisturizer every day and I typically avoid the sun. While this earns me a thumbs up from my dermatologist, it also means that my face is lacking that gorgeous, shimmering, kissed by the sun look. I have tried many products to fake bake, with no luck. That changed when I purchased Jergens Natural Glow Daily Face Moisturizer. Jergens Natural Glow Face Daily Moisturizer offers a safe alternative to catching rays, and possibly catching skin cancer. I love that this product is formulated as a duo: effective moisturizer and skin bronzer to give your skin that soft, sun-kissed look. It is designed for complexions ranging from Fair to Medium and Medium to Tan. 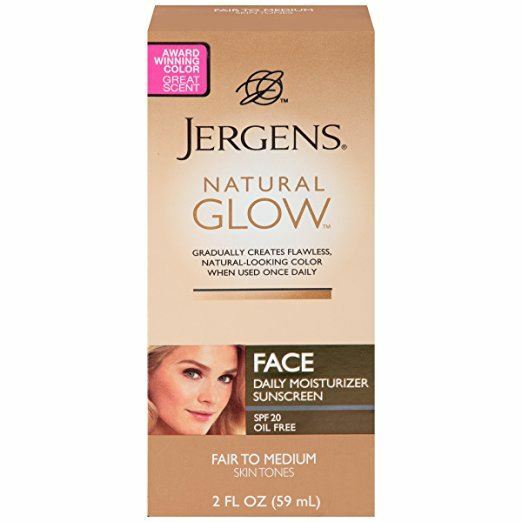 Jergens Natural Glow Face Daily Moisturizer creates a natural looking color that lasts longer than other sunless tanners I have tried. This formula is a wonderful adoption to the skin care regimen of anyone that is looking for a natural boost of color that will produce a healthy, sun bronzed radiance without harmful UVA or UVB rays. Leaves my skin feeling soft, supple, and full of moisture, unlike other facial sunless tanning creams I have previously tried. Gradually colors my Fair skin to a lovely, healthy, sun kissed glow, and is backed by Jergens Natural Glow Guarantee. Contains SPF 20 to protect skin from dangerous sunlight rays. Great price and easy for you to find in local stores or through online stores. The lotion can stain hands if you forget to wash them with soap and water after application. Darker skin tones may not see any color development. You may still need to use an additional moisturizer if you are someone that suffers from very dry skin. Let’s take a closer look at what some of Jergens Natural Glow Face Daily Moisturizer’s features and benefits are. When looking for a sunless tanner, I want to use something that is safe and effective, and that gives me the most bang for my buck. Jergens Natural Glow Face Daily Moisturizer encompasses these traits, and more. 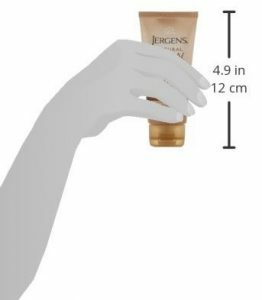 A key feature for me, is the fact that Jergens clearly lists each and every ingredient used in their formulations on both their website, as well as on the product containers themselves. When using creams and lotions on your face, it is imperative that you know exactly what you are placing on your skin. I personally feel safer and more confident in using a product that plainly lists the elements used. The Skin Cancer Foundation recommends that everyone regardless of race, age, gender, or location wear sunscreen with an SPF of 15 or higher, every day Jergens Natural Glow Face Daily Moisturizer has an SPF of 20. The fact that this company has incorporated a broadband sunscreen in this product, in addition to other skin soothing elements, helps me to know that I am helping to protect my skin and health from cancer or other ailments. Being able to find a product that allows my face to develop a naturally flawless bronzing, while protecting me from sun damage, is icing on the cake. Anyone who has tried a sunless tanning product understands that one of the biggest issues is scent. Many of these formulas have a horrible smell that lingers on your skin, feeling like it has permanently seeped into your pores. Another great feature of Jergens Natural Glow Face Daily Moisturizer is that it leaves a surprisingly pleasant scent, that I would characterize as floral and tropical. The lotion did not make me feel sticky or itchy, two other concerns I have when using other brands. As a woman that suffers from eczema and sensitive skin, this is extremely important to me. My skin feels softer and refreshed after applying. The formula doesn’t cause my skin to breakout, which is another amazing and appreciated feature. The best feature, is the end result of adding this product into my personal skin care regimen. I love the way my skin looks bronzed, radiant, and sun kissed, but without the harmful effects of sunlight. Friends and family have pointed out to me that skin looks brighter and clearer, due to the subtle flush of color helping to conceal my skins imperfections. This particular line of products by Jergens has thousands of positive reviews across various websites and social media platforms by regular, everyday people like you and me. It can be hard to trust celebrity endorsements, since they are rewarded monetarily for touting the alleged effects of beauty products. 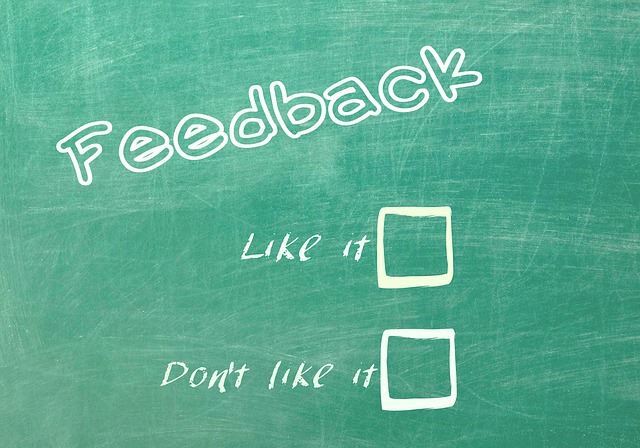 When I am able to read real reviews on websites that are positive, I feel more confident in a product. Some users have called the formula an amazing breakthrough, stating that it looks completely and totally natural, that it is also extremely easy to apply, has no streaking or orange color, and that it is truly the best sunless tanners they have ever tried. With over 500,000 likes on Facebook, Jergens also has a loyal and positive social media following. Some members love that it is less expensive, and more effective than pricier brands, and that it is easily found in local stores. The Jergens official website also includes detailed reviews, with a high approval rating of happy customers that highly recommend this product. Jergens Natural Glow Daily Face Moisturizer is a revolutionary skin care product that I really like and believe in. But honestly, you don’t have to take just my word for it. You can read many glowing reviews on various websites, or look at the list of Allure Best of Beauty and Readers’ Choice Awards for the last eleven years. This formula not only helps your skin to achieve the illusion of healthy luminosity, but it helps to safeguard your skin from the harmful effects of the sun. The bottom line is that this economical product is a great addition to your current skin care routine if you would like to have nourished, glowing, radiant skin without the effects and hazards of traditional sun tanning. Have you tried Jergens lotion? Let us know your experience below. Please share this article if you’ve enjoyed it!